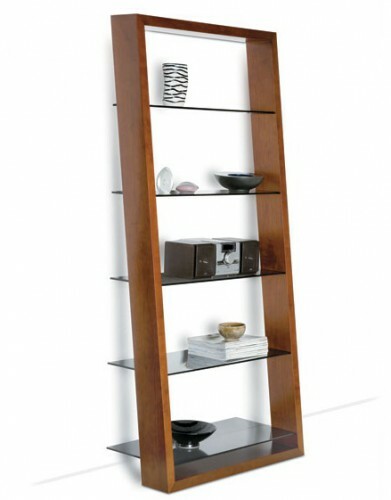 The Corridor 8177 Home Theater TV Cabinet from BDI features a striking louvered facade made of solid walnut. 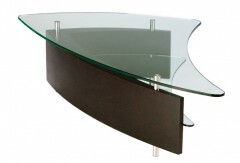 With an etched glass top and black steel legs, this piece is quite eye catching. Choose from Chocolate Stained Walnut, Charcoal Stained Ash, or White Oak.